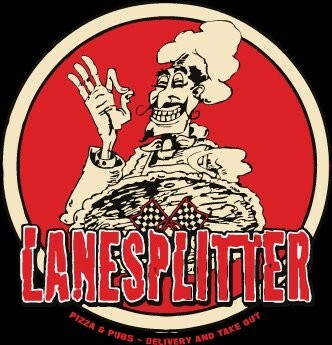 Last week at the Temescal district location of Lanesplitter Pizza, two employees quit their jobs in dramatic fashion: At around 8 p.m. on Monday night, when the Telegraph Avenue restaurant was at close to full capacity, the servers cut the music, stood up in front, and announced that they were walking off the job. Then, the two proceeded to leave — to resounding applause from customers, by their account —and headed over to Lanesplitter’s other two pub locations, in Berkeley and Emeryville, where they made similar announcements. Finally, one of the servers put up a post on the Oakland forum of the social media site Reddit, under the pseudonym “Amanda Swift,” in which she outlined a series of grievances that included alleged misogyny, emotional abuse, and a deceptively inaccessible employee health care program. As of this posting, the Reddit post has received 231 “up votes” and sparked 435 user comments, prompting Lanesplitter’s founders to issue a formal response. Whatever discontent may have been fomenting behind the scenes at this local chain, the discussion — for better or worse — has now been taken into the public sphere. Will O’Connor, who worked as a delivery driver for Lanesplitter for nearly three years, until last July, described the work environment as “pressured, cramped, and stressful,” and said that management was highly controlling. For instance, he described a “no-talking policy” wherein “employees would be told to immediately stop talking to one another out of nowhere, with no clear criteria given as to why they had to do so. “What happened Monday night was a long time coming,” O’Connor added. Ryan Lee, who worked as a dishwasher for a little more than one year, described the sanitary conditions at the restaurants’ kitchen as “disgusting,” as a result of the staff being overworked and underpaid. Lee said he hoped the walkout would lead to management allowing workers to have more input into how the restaurant was run. According to Rogers, no employee has missed a day of work since last week’s walkout. He also stressed that the company has an “open door policy” with respect to staff concerns. But in spite of the owners having put a sunny face on the situation, at least one local union is talking about a boycott. “Our union's official position is to stand in solidarity with the Lanesplitter workers and encourage our members not to patronize Lanesplitter until the dispute is resolved,” Katy Fox-Hodess, unit chair of the UC Student-Workers Union, said via email. Correction: A previous version of this article in correctly identified Katy Fox-Hodess as unit chair of the UC Berkeley Student Workers Union; she is in fact Berkeley unit chair of the UC Student-Workers Union, which covers academic student employees at all UC campuses. This version has been corrected.